This coffee will be fresh roasted for you. 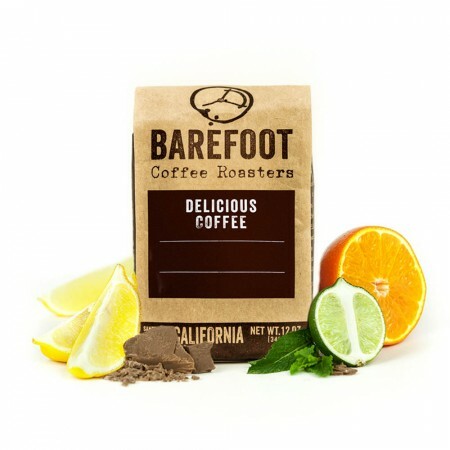 We expect Barefoot Coffee Roasters will roast and ship this coffee in 1-2 business days depending on their roasting schedule. This is the Ethiopia Sidama Aleta Wondo brought to you by Barefoot Coffee Roasters. Grown by the various small holder producers in the Aleta Wondo region at 1,850 - 1,950 meters, this fully washed coffee is a perfect example of why we love coffees from Ethiopia. We love this coffee brewed as a pour-over, like the Chemex or V60, to highlight its nuanced notes of chocolate and citrus. I greatly enjoyed this coffee. It had excellent flavor. I brewed it as a pour-over (as I usually do) and it was delightful. I agree with the description- this coffee was much better brewed in a chemex than an aeropress. Also, the beans were really small (compared to other coffee beans we've had) and needed a looser grind setting. Overall a solid coffee that we would get again, but not an all-time favorite. The best thing about this coffee was definitely its finish. However, to get the best out of it, it requires a lot of attention to the details .I found that I could not get it properly dialed in on a Hario and ended up moving to a french press, it's definitely better suited to full immersion brewing. Even with quite an aggressive grind on the Hario, closer to what I normally use for a Chemex, my brew times were approaching five minutes and I still was not getting the extraction I wanted. Definitely not a coffee for someone who likes to set it and forget it. And for me, simply too much work. After this review I realized that the primary issue is that the coffee beans are very hard and so my Virtuoso was struggling to get a consistent grind, perhaps a Rancillio Rocky or another grinder that is better with darker roasts might do better. This coffee is exactly as defined in the profile notes. Light and bright with a lemon lime twist. The only reason I am rating it a 3 star is that I changed my preference to a medium roast as soon as I got my first bag of coffee (weeks before this one was even roasted) and I still got another bag of light coffee. Sent feedback to my "curator" and never got a reply.